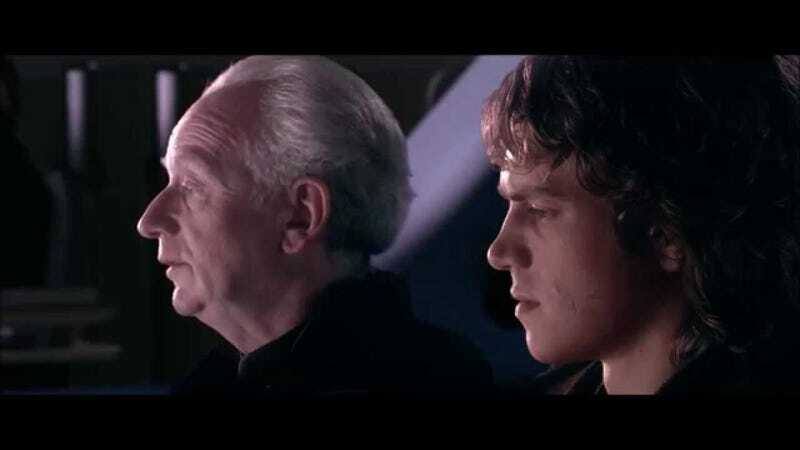 Filed to: did you ever hear the tragedy of darth plagueis the wise?Filed to: did you ever hear the tragedy of darth plagueis the wise? The science community has long known that certain “predatory journals” will publish almost any paper for a fee without proper peer review. Some watchdogs have submitted fake papers by fake researchers to these journals to highlight how bogus journals harm the integrity of the Open Access publishing movement, by taking advantage of a loophole. This newest sting from the anonymous science blogger Neuroskeptic is truly astounding for just how silly the fake paper is. Most of the paper’s text comes from copying the Wikipedia page about mitochondria, replacing any instance of “mitochondr-” with “midichlor-,” and then rearranging the words so the paper didn’t look like straight plagiarism. Neuroskeptic even included the text of the tragedy of Darth Plagueis the wise, word-for-word. This new sting comes on the heels of another, much larger sting: Back in March, researchers sent an editorial board application on behalf of a fake scientist (whose name translated to Dr. Fraud) to 360 research journals, and 48 appointed the scientist to their board. And in 2013, Journalist John Bohannon sent 300 copies of a bogus paper to predatory journals. Sixty percent accepted the paper. Neuroskeptic points out that this probably doesn’t mean the publishing process is broken. As Gizmodo has reported in the past, many of these journals have websites that look like high school computer class projects. Still, these journals are exploiting a loophole in the Open Access publishing model, where researchers pay to submit their research to a journal who then publishes it without a paywall. The journals may fool inexperienced scientists, or serve as a tool for publication-hungry researchers to publish, as we’ve previously reported. It can be difficult to tell who’s legit and who isn’t—scientists used to have access to Jeffrey Beall’s blacklist, which Beall no longer maintains. Neuroskeptic pointed out that “personally, I rely on MEDLINE’s listings.” For example, “if a journal is listed on MEDLINE, which means it appears on PubMed, then it’s almost certainly legitimate.” When it comes to life science journals, at least, Neuroskeptic thought that non-listed journals could be legitimate, but mostly weren’t. So, there’s a clear problem present in scientific publishing, and it’s likely we’ll continue to see stings trying to weed out the spammers and fraudsters. For now, we’re left with published “research” backing what could be the worst attempt at bad science ever to enter science fiction. May the force be with you, I guess.